Senator Charles Schumer urges FCC to provide Jewish institutions with caller information to help solve bomb threats. Senator Charles Schumer (D-NY) on Wednesday urged the Federal Communications Commission (FCC) to provide Jewish institutions with caller information to help solve a recent string of bomb threats. In a letter to FCC Chairman Ajit Pai, Schumer asked that the targeted institutions be granted special waivers allowing them to work with law enforcement to access caller ID information. His statement called the waiver "critical", according to the JTA news agency. 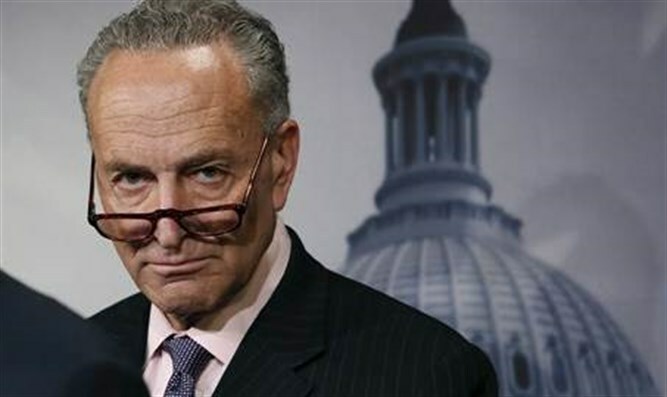 "All communities and entities targeted by intimidation and fear deserve access to all of the tools needed to ensure these criminals are brought to justice,” Schumer added. Approximately 90 bomb threats have been made against JCCs across the U.S. over the past two months. So far, no bombs have been found. On Monday, at least 10 Jewish community centers and Jewish day schools received bomb threats, the fifth wave of such threats. In his letter, Schumer referenced a string of threatening phone calls made last year to the Middletown School District in his state. At the time, the FCC granted the district a waiver to access caller information about the perpetrators following a request by Schumer. Meanwhile, the FBI said on Wednesday that the waves of bomb threats against the Jewish community centers were the work of a single "nutjob" and not a terrorist organization or hate group. An official source told the New York Post that the absence of any bombs suggests that all of the threats were made by a single individual acting alone.